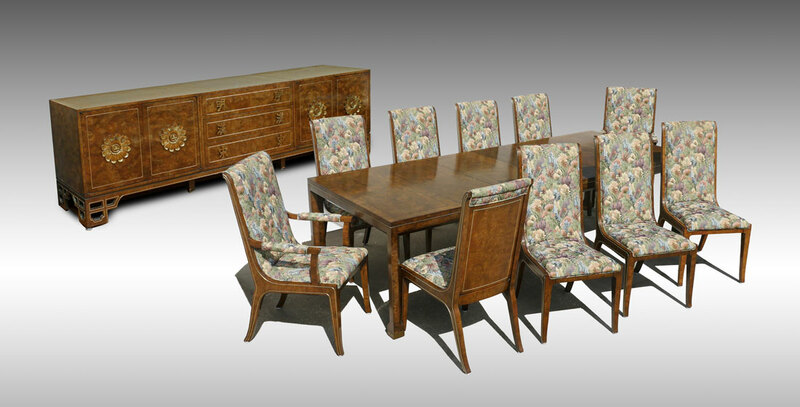 BAKER QUALITY BURLWOOD ORIENTAL DESIGN DINING SET: 12 piece dining set with rich burl wood veneers to include 1) Table with shaped legs, 29 1/2'' h. x 74 3/4'' x 43 1/2'', the 2 leaves 18''. 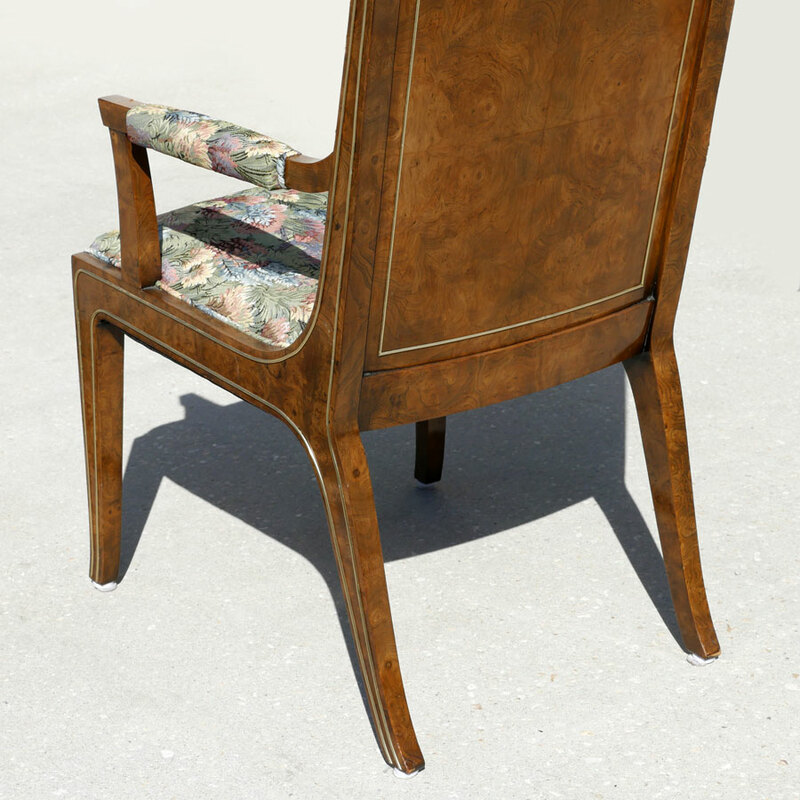 2-11) 10 chairs with floral upholstery, the 2 arm chairs 42'' h. x 22 1/4'' x 25 1/2''. 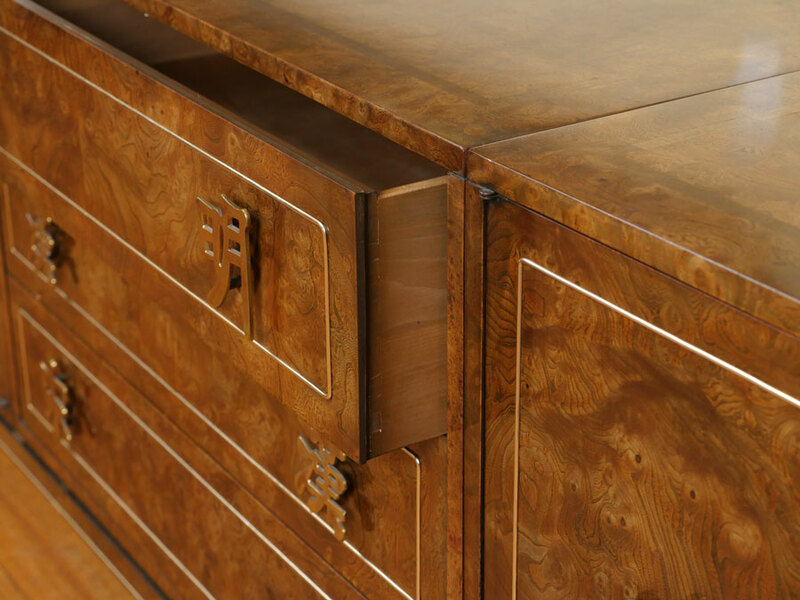 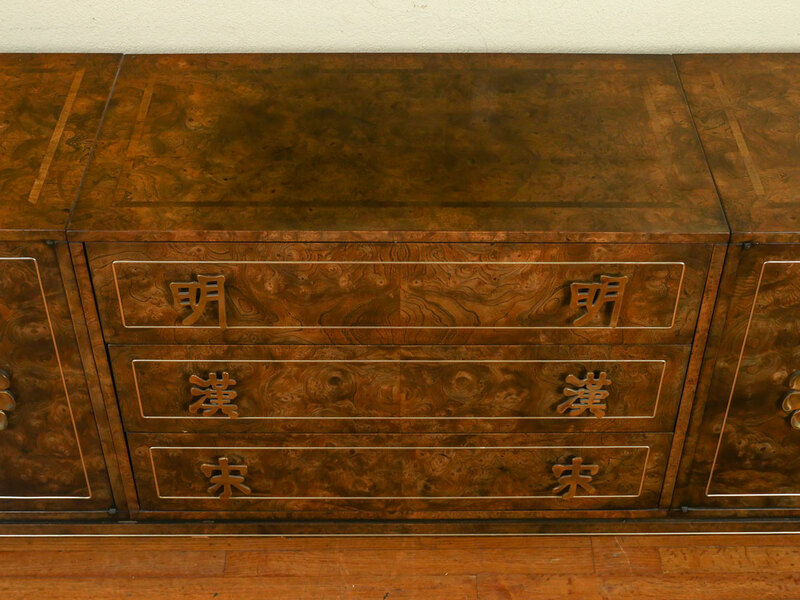 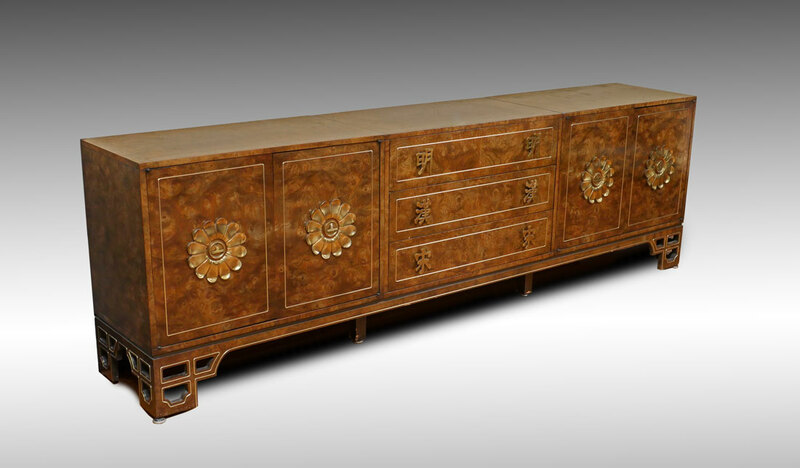 3) Sideboard, 3 center drawers with brass hanzi and floral mounts. 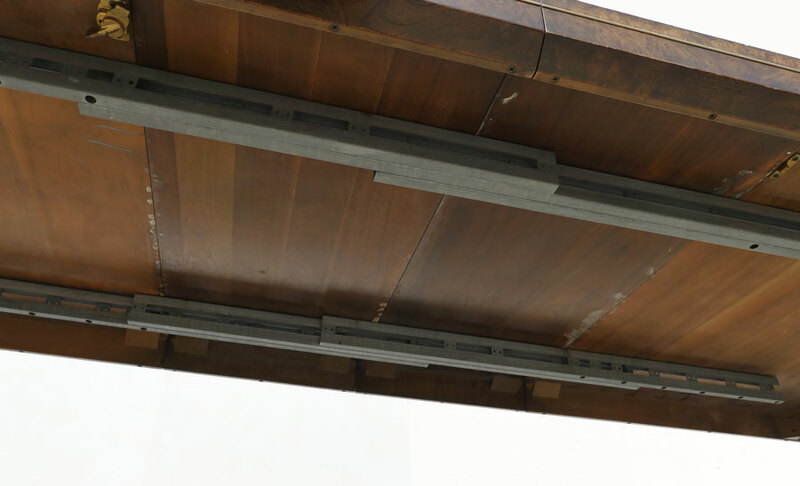 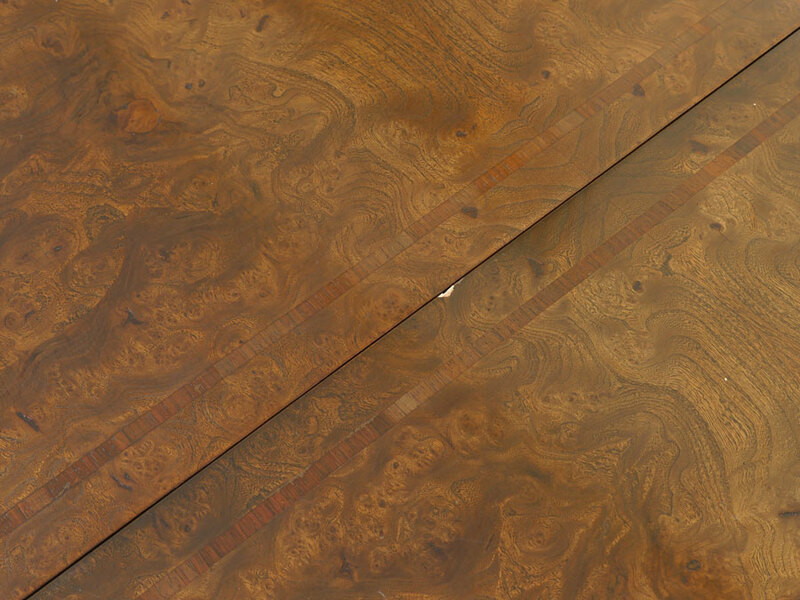 29 1/2'' h. x 102'' x 18 1/4''. 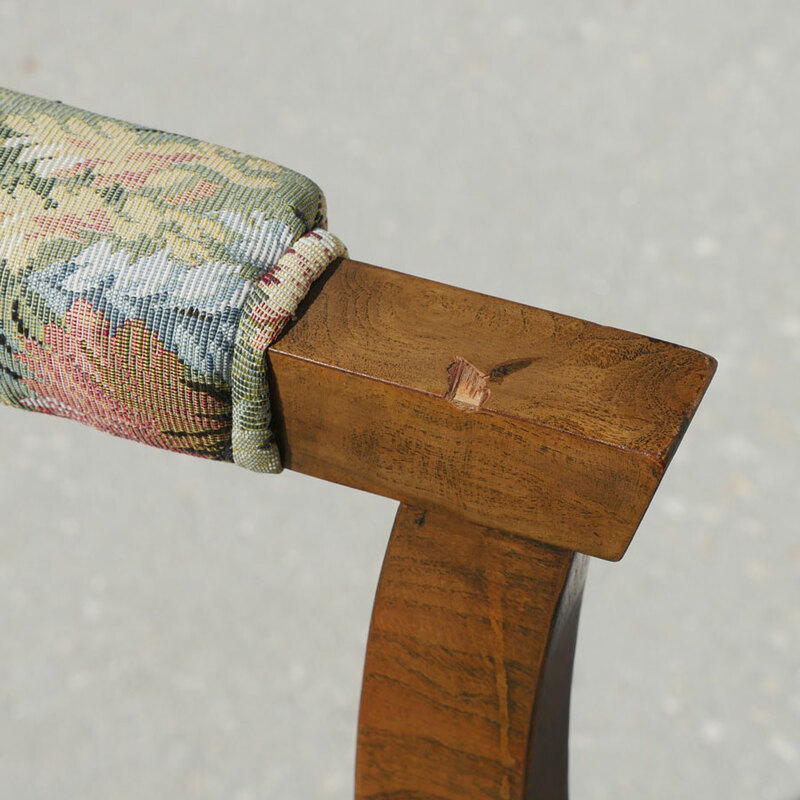 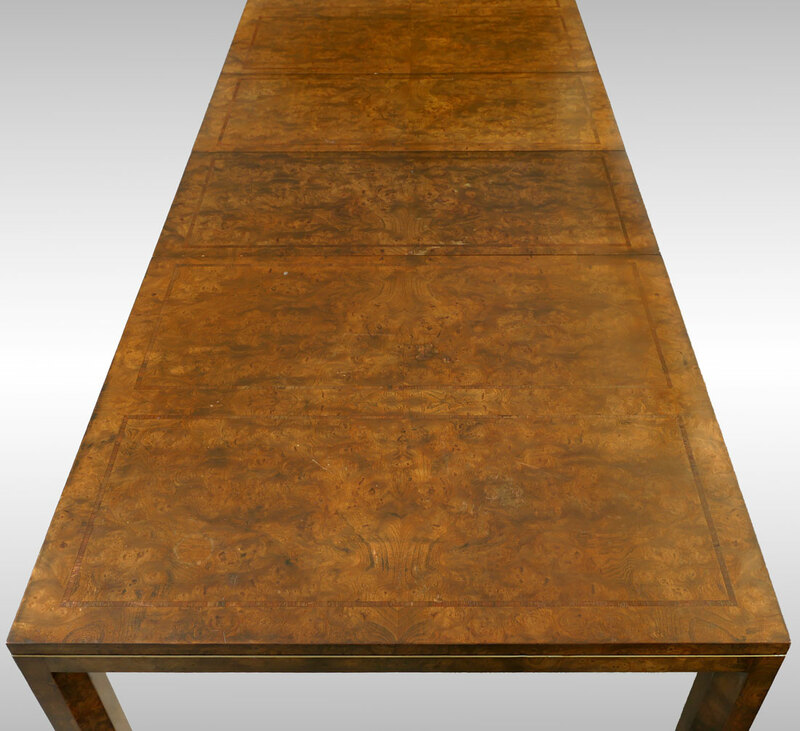 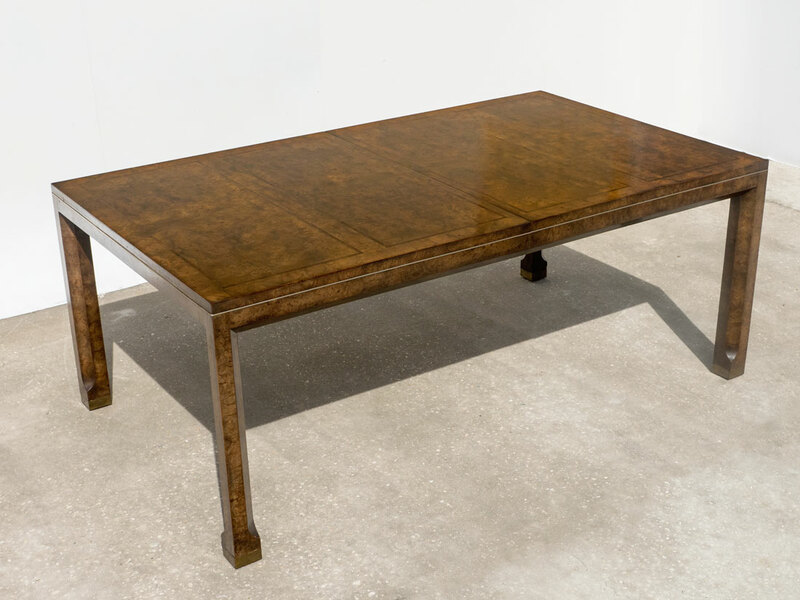 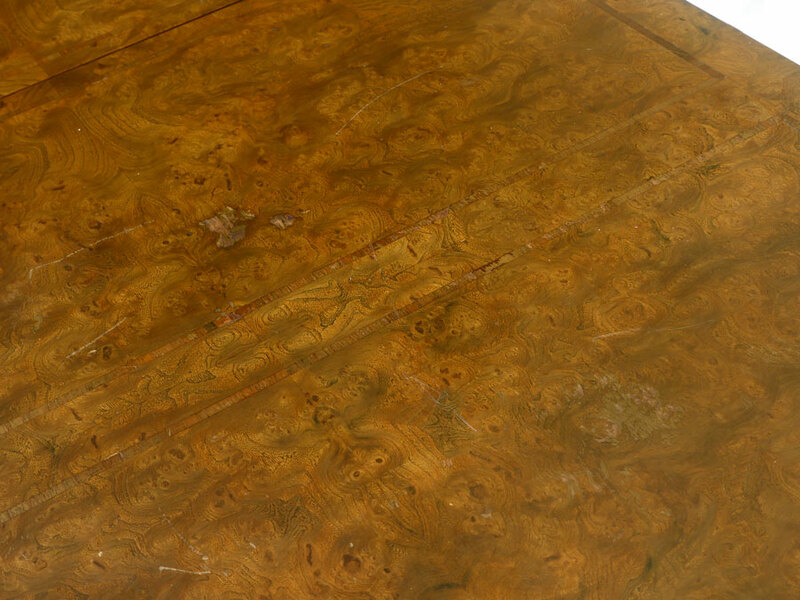 CONDITION: Scratches and touch ups to veneer overall, veneer chips to table and chairs.